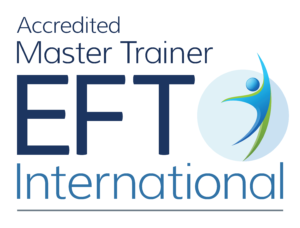 I came to do part 1 of the EFT training with Gwyneth Moss about 3 months ago now – and came away thinking I needed to do loads more training before I could help any one. Well, 2 days after I’d been on the course my mum had an absolutely blinding migraine and insisted I did some EFT with her! She gave me no choice. She was sat there holding her eye in pain, with a throbbing headache. She was almost crumpled over in pain. So we began to tap and within about 4 minutes she took her hand away, sat upright, started yawning and left the room to tell every one else in the house that EFT was a miracle !! Her pain had gone. So she sent my grandma along who had a painful leg after her fall. We tapped on that and some of her beliefs about being well etc and the pain started to shift and got better. So she sent my sister along ! My sister has eczema in her ear and the itching gets so bad that she ends up scratching it (she said she couldn’t help it) and the scratching breaks the skin and then it bleeds and then it gets infected etc etc. So we tapped about the finger because she talked about the finger as though it had a mind of its own and she had no control over it. We tapped about around stuff to do with the ear itself too ( I used your Imagineering technique which I’d read about on emofree) – anyway she said that night was the first time she had been able to sleep without scratching. The eczema is still there obviously but she’s stopped aggravating it. And anyway it goes on. I did EFT with a friend about something she was stuck on in her relationship. It shifted! I did EFT with a friend who was having trouble selling her house – because good things never happen to her we discovered – and it shifted. And 2 nights ago I went to visit a friend who has a 5 month old baby – she’s not been able to breastfeed her properly for the last 2 months and it’s really upsetting her because her baby’s had to have formula and that had given her a terrible allergy / eczema. My friend had a really bad shoulder as well, it was stuck and so we tapped on the shoulder and how it felt like it wasn’t working, how it felt like it was shredded inside, how the tendons were being pulled in lots of directions, how smooth it used to feel but now it was falling apart, and so on and some where along the line she burst out crying and talked about the breast feeding, so we tapped on her beliefs and guilt about that and within minutes she could move her arm again with no pain. Anyway she’s just emailed me to say last night she breastfed her baby for the first time in 2 months ! I feel very much a beginner and I’m sure I’m making a few mistakes along the way but keeping to the basic principles you taught us still works and I can’t WAIT to learn more with you. Thank you so much for your love and compassion and for keeping on doing what you’re doing. Why doesn’t the whole world know about EFT?? ?